Raul Ramirez was born and raised in southern California, and is now a licensed acupuncturist working at his clinic, Nei Jing Eastern Medicine in Culver City, California. He’s been training seriously in many styles of martial arts since the 1990’s. Along the way he passed the American Council on Exercise personal trainer exam and became a trainer for UCLA. Raul has had the privilege of training with the top martial arts instructors at the best schools in the world. He trained with the best professional Sanda (Chinese Kickboxing which allows takedowns and slams), and wrestling coaches while at Beijing University of Physical Education. For Catch Wrestling, he trained with the two best coaches in the world, Billy Robinson and Roy Wood. Raul also trained in non-sport, self-defence martial arts in Indonesia and in Los Angeles. He won two national championships in Sanda, a silver medal in international Sumo wrestling, and is currently undefeated in the International Catch Wrestling competition. Veganism makes the most sense to me. We have all the evidence to prove that this is the best lifestyle for our health and the ecosystem. I was at the mall waiting for a movie to start in 2005. I stepped into the bookstore to kill time, and I saw a book called the “China Study.” I bought it, was blown away by the research, checked out other research then switched. I never looked back. I was more interested in the health benefits at first, but the environmental and animal rights issues are hard to ignore. I have since joined the Physicians Committee for Responsible Medicine in order to take a more active role in supporting such issues. I don’t remember an exact date when I went vegan, but I’m over the 9 year mark now. I’m really happy and proud to be vegan. The major benefit that I noticed was faster repair after hard workouts. I can also adapt quicker to increases in intensity, like when preparing for competition I increase the intensity and duration of workouts in the weeks before the competition. I feel that my body adapts quickly to such increases. Since my son was born, veganism has meant more to me than ever. Veganism means that my son will have less of a chance of developing the common childhood diseases. It means that I have a greater chance of being healthy enough to keep up with him as he grows and gets involved with many different activities. I hope he wants to learn catch wrestling from me, and I want to be fit enough to train him. The life saving aspect of veganism is very real to me. I see the effects almost daily in my clinic. I’ve seen people overcome serious medical conditions with the plant-based diet. They have been able to stop taking some serious medications. I mainly focus on catch wrestling and Chinese kickboxing and meditative kung fu styles, like Qi Gong. I also work on strength and conditioning by keeping a regular weight lifting routine, cardio training which can vary from running, stairs, or even cycling. And last but certainly one of the most important things that I do that keeps injuries to a minimum, is stretching after each workout. I also try to make yoga part of my routine when I have the time. I know many people don’t like stretching, or don’t know how to stretch properly. Many people come to my clinic because of injuries that could have been prevented by stretching. Flexibility has nothing to do with age. I have seen young and old patients who have suffered from flexibility related injuries. We just have to make sure that we don’t forget to stretch. I usually workout six days a week, but the intensity varies depending on if I’ll be competing soon. I think I’ve gotten used to this schedule. I might not need to train so many days out of the week, but I actually enjoy working out and being active. I worked as a personal trainer for many years at the University of California, Los Angeles, (UCLA), recently I have shifted most of my extra time to training people in catch wrestling, kickboxing or self-defence. Nowadays, I mainly practice catch wrestling, because I still compete in this sport. It is one of the most physically demanding and painful sports there is. It was extremely popular around the world in the early 1900’s and I’m now helping to bring it back into the spotlight. One wins by pin or submission. A wide variety of submissions are legal, like wrist-locks and face locks, neck cranks, etc. It is a very exciting sport. I believe that this sport will make a comeback, so I created a promotion called the Catch Wrestling Alliance. I was able to get the support of the main catch wrestling schools in the world. We are all working together to put on the exciting catch wrestling events, where the highest-level catch wrestlers from around the world compete. We held our first show in June 2014 and we also had women’s matches. Many of the wrestlers were inspired by me to go on a plant-based diet while training for the event. I think the biggest misconception is that we are weak and fatigue easily. I address this by not getting tired during workouts. I’ve gone through weeks of intensive martial arts training, and had people comment on how fresh I looked after training hard for so long where others seemed to be wearing out. Quick recovery and adaptation are the strengths that come to mind first. It is nice to know that I’m helping my body by eating the right foods and not taxing my body while it is trying to recover from a hard workout. I don’t feel like being a vegan is challenging at all. The only thing I have to remember is to pack some food if I travel to a new place, but I can usually find vegan food anywhere. In the combat sports no one seems to care what I eat, but in medicine, I have seen many uneducated doctors promoting fad diets. It is sad to see so many physicians in the dark about nutrition. It is understandable, because nutrition is not really covered in medical schools, but it is still a real shame. Yes, everyone is very supportive. I am also lucky to live in LA where vegan restaurants are sprouting up everywhere. The idea of veganism isn’t too strange or scary to my non-vegan friends and family. I wish more of them would take the plunge and just be vegans too. People often say that it must be difficult to be vegan because they wouldn’t know what to eat. I tell them that there are already many foods that they eat that are vegan, like guacamole, hummus, salsa, corn tortillas, etc. I tell them that cooking is about knowing your ingredients, and that the flavor comes from the natural compounds in the food as well as the spices you add to the food you cook. I am motivated by the Bluezone research. It is amazing that we have evidence showing the fact that the longest-lived people on the planet eat very little to no meat. I’m thankful for every day I get to spend with my son. I hope to have a long life supporting him as he grows into adulthood. Perhaps he will have kids. I want to be a healthy grandpa for them too. Breakfast - Usually some sort of grain like oatmeal, black rice, etc., with fruit, or a fruit and vegetable smoothie. Lunch - It can be any dish from Asian, Mexican, Indian, Middle Eastern cuisines. Dinner - Can be similar to lunch. Sometimes my family eats raw, sometimes not. Snacks (healthy & not-so healthy) - My son loves blueberries and goji berries, so we always have those around. I also love chips and spicy salsa, guacamole, garlic aioli, and hummus. Protein - I like tempeh, seitan, tofu, and most any kind of bean. I feel a real increase in energy with proper hydration and eating a lot of fruit. I never feel at a loss of energy while training when I’m getting large amounts of fruit and water. I will take some Eastern medical herbs from time to time in the weeks leading up to a competition, like curcumin, or some that help wound healing, but I don’t supplement most of the year. Gaining muscle - Consistency and patience. Make sure you hit the same muscle group more than once a week. Losing weight - It is more important to focus on losing fat. I like having strong muscles and having a healthy body fat percentage. So, I don’t care about my weight if my body fat percentage is in the healthy range. If the percentage creeps up, then I know that I have probably overindulged in salty and fatty foods. It also means to me that I’ve probably gotten used to the intensity of my workout and it’s time to kick it up a notch. Maintaining weight - Try to minimize the junk foods and keep a consistent workout routine. Improving metabolism - Move your body and strength train. I am not shy about the nutrition advice I give to my patients. I also subscribe to several vegan magazines that I put in the waiting room. Many patients have commented that they found some of the articles very interesting. 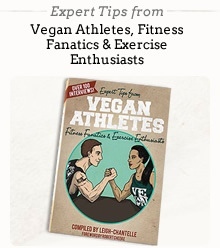 It is also nice when I actually appear in the magazine like Vegan Health and Fitness. My patients and martial arts students like seeing stuff like that. Many of them have incorporated more plants into their diet. For more info on the martial arts and eastern medicine please visit KungFu Kulture or send me an email. I’m also on Twitter as is KuFu Kulture.